It’s summer holiday time!! With 6 fabulous weeks of fun ahead of you, we thought you might like to have a little something up your sleeve for those inevitable moments of boredom / just in case it ever decides to rain in the UK again… you’re welcome! What’s in the Monster kids activity pack? 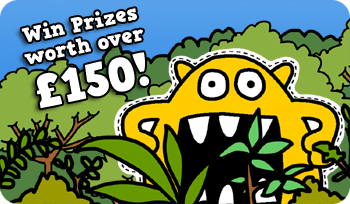 In line with our big summer competition the pack is very much themed around our favourite Yellow Monster! 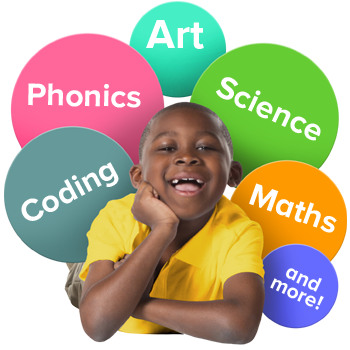 Included in the free monster kids activity pack is a selection of activities to encourage children of all ages to boost their thinking skills, be creative, problem solve and generally have lots of fun whilst flexing those brain cells! Colouring front sheet – Monster is at the ice cream palour, what colourful creations can you create. Spot the difference – Who doesn’t love a game of spot the difference? 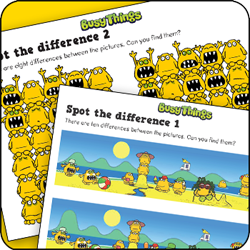 We’ve included 2 games – a beach scene and a Monster pile up – can you spot all the differences? Monster maze – find your way through the Monster line drawing – concentration needed on this one! And why not colour it in afterwards. Crack the code – use problem solving skills to work out the monster secret message. Guess Who Monster-stylee! – Set up a classic game of Guess Who with a Monstrous twist! The aim of the game is to guess which Monster the other player has picked – whittle them down by asking questions e.g. Is your Monster wearing a hat? OR Monster Pairing / Snap? – Simply cut out 2 of each Monster tile (we suggest sticking to some card e.g. a cereal box first) and hey presto you’re ready to play a memory testing pairing game or a fast paced game of snap! Where did Monster go? 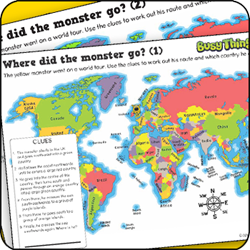 – We’ve sent Yellow Monster on a couple of world tours, use the clues to work out his route and which country he ends up in. 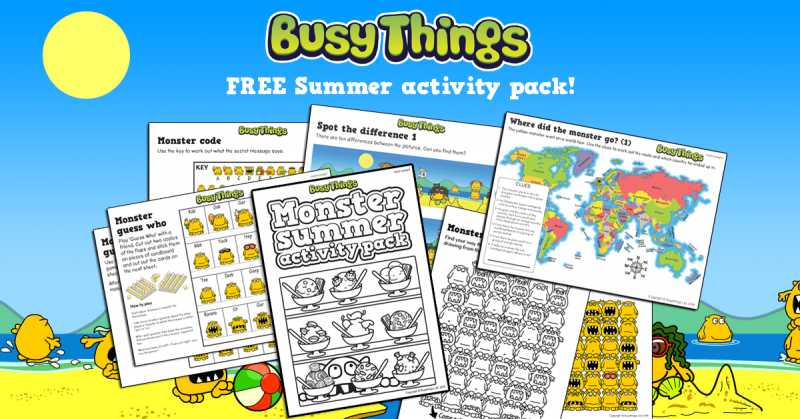 Access your FREE Monster Activity Pack now! 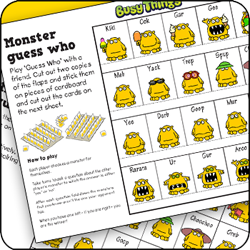 You can access the Monster kids activity pack within Busy Things, along with tons of other fun educational games and activities that involve Yellow Monster and many many more loveable characters! Psst. If you try Busy Things and want to subscribe, you’ll find a 1/2 price discount code at the back of the Monster pack! Pingback: Monster's Big Summer Adventure - Competition Time!